The Patrick Starrr X M.A.C Collaboration Is Finally Coming To Singapore! The number of beauty gurus on YouTube have grown exponentially in the past few years but the O.G. channels have blossomed and become so successful that so many of them have launched collaborations with major cosmetic brands or even launched their own brand. 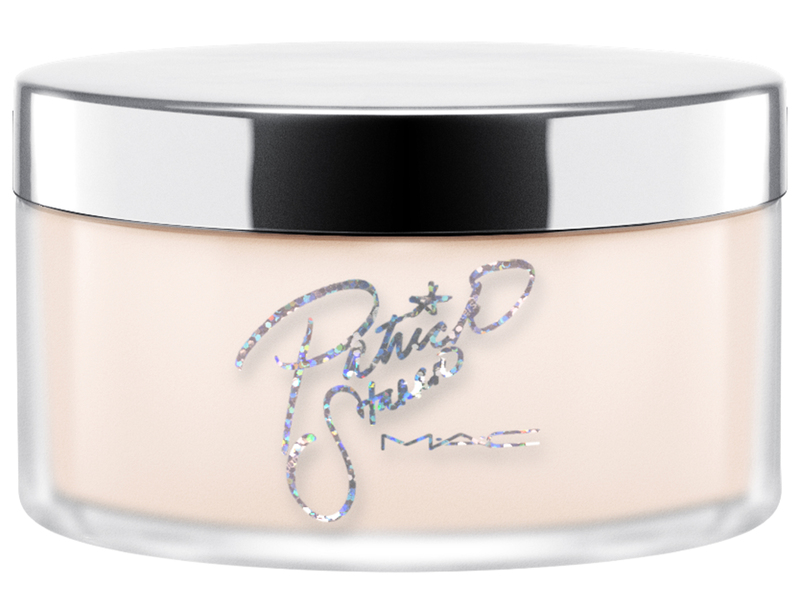 Patrick Starrr is one of those makeup artists on YouTube that have bridged the gap between product reviewers to product creators with the launch of his first ever collaboration with M.A.C at the end of 2017. The oh-so glam, gentle and friendly makeup artist attributed the start of his YouTube channel to his time as a makeup artist at M.A.C so it’s heartwarming that their relationship has come full circle. We know that many of you have been eagerly waiting and hoping that the collection would come to Singapore (us too!) and we’re so excited to share that the collection would be available in just 3 more days! You read that right – 3 MORE DAYS. It feels so sudden but we’re not complaining. From lipsticks to eyeshadows and a highly-raved setting powder (it’s even Patrick’s favourite from the collection! ), this collection is exactly what we needed for the nearing festive season and for life, in general. We have the full breakdown of items in the collection as well as an exclusive interview with Patrick Starrr about his collaboration with M.A.C, so while waiting for the Singapore launch on 8 February, why don’t you carry on reading to get an exclusive behind-the-scenes look at the Patrick Starrr X M.A.C collection. 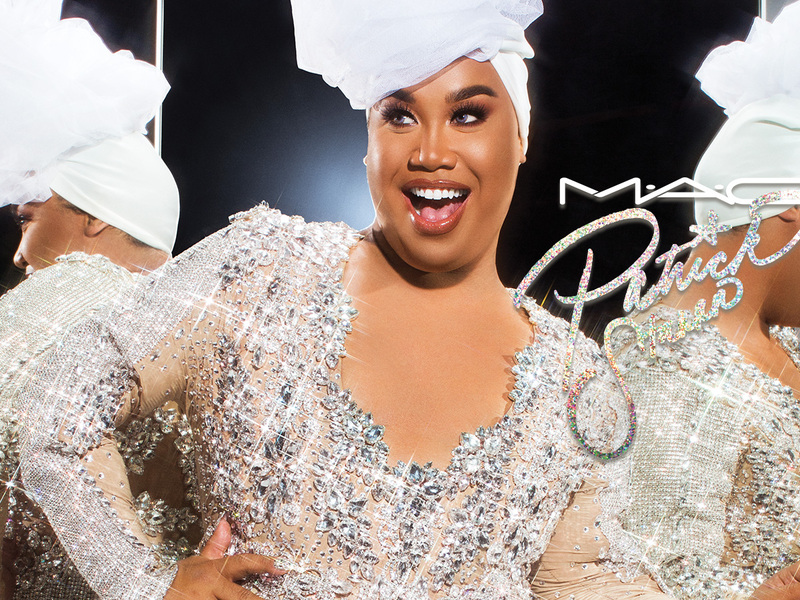 All ages, all races, all genders – M.A.C’s slogan is the perfect description of its collaboration with Patrick Starrr. Being a male makeup artist and a male beauty YouTuber was not common when Patrick first started his channel in 2013 but the confidence that he gained from working at M.A.C and skills he picked up from working with clients were instrumental to his success as a YouTube beauty creator. 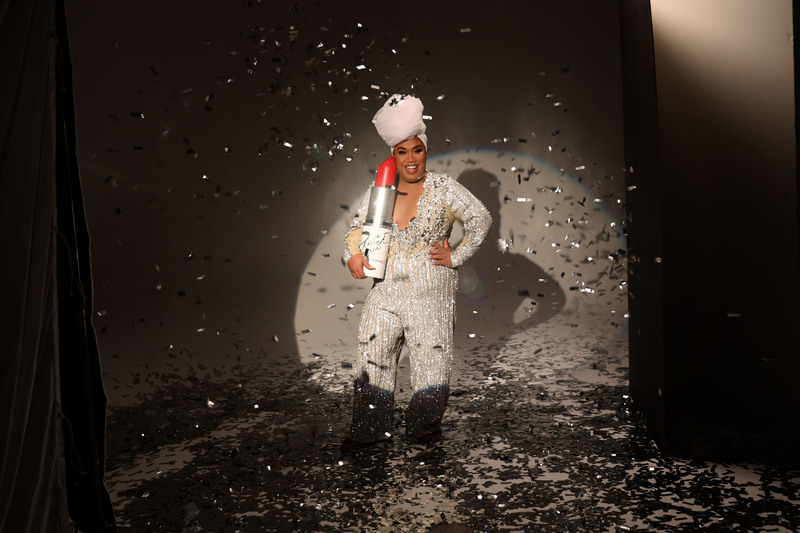 Here’s an exclusive interview with Patrick Starrr about his collaboration with M.A.C, sharing about his affinity with the cosmetic brand, his inspirations and some behind-the-scene photos from the campaign photoshoot. What does M∙A∙C mean to you? M∙A∙C really shaped me. What I love about M∙A∙C is that the artists are key artists, trainers, product specialists and the environment was like a university that anyone can learn from. I did an interview awhile back and I said “M∙A∙C was like Hogwarts” for artists and professionals. It’s really a community where everyone respected me although I was always inquisitive and I still am today. I think I had such a great experience because people respected that rather than being a know-it-all. I became a sponge at M∙A∙C. I also had a tech side to me, with a history of being a photographer, my coworkers would always say “Girl, you are so buggy, you should have a YouTube channel.” I didn’t believe them because I didn’t think anyone would want to watch a man do makeup. Little did I know, a couple thousand views became a hundred thousand views, to a couple million views and it is just all so surreal! I remember hitting one million views on my channel all together. I just checked recently and I think I am at like 130 million views on the whole channel. I don’t think I would have started a YouTube channel had I not worked at M∙A∙C. During my tenure, I learned so much and it made me feel so confident. In line with his “makeup is a one-size-fits-all” philosophy, the YouTube creator created an all-inclusive collection so that anyone and everyone can feel their best whenever they use the items from the collection. What was the creation process for the behind the collection, were their inspiration behind the some of the products and colors? M∙A∙C to me, has everything! They are creative geniuses for sure. I did not want to go too artistry or too avant-garde, because I wanted someone’s grandma to walk in and feel great buying it. Apart from being online, it is going to be sold in-store and also internationally. I wanted anyone who didn’t know me to be able to use these products to create confident, glamourous, fierce, very Patrick Starrr-esque looks through my collection. I think the inspiration behind this was very much Patrick Starrr, but to make sure it’s universal. Everyone loves makeup, glamour, and sparkle. This is a 12-piece collection which is just insane! It was truly a mind blowing experience and couldn’t believe it was real. I even got to come up with the names. It was such a historic moment for me and couldn’t be more excited for everyone to see how it comes to life! What is your favourite must-have product in your collection? The must-have product is the powder! The colour, texture, and versatility is great for all skin tones and the packaging is amazing. We always hear about the “M∙A∙C family” – not just comprised of the artists but of the collaborators. What does this mean to you? M∙A∙C is definitely family when it comes to artistry and inclusivity. Also, M∙A∙C is all about all ages, all races, and all genders and that’s me. I want to work for everyone. The Patrick Starrr X M.A.C collection will be available exclusively at M.A.C ION Orchard and Tangs Vivocity, from 8 February. For more information, go to maccosmetics.com.sg.